A New Leaf: Saving the Moola: Bing can add serious Swag to your life! Saving the Moola: Bing can add serious Swag to your life! Ya'll know Jason and I are huge fans of Swagbucks. We redeem our Swagbucks for amazon.com gift cards and use those gift cards for household and fun purchases, like Preston's cat food, reference books and toilet paper. Swagbucks is constantly changing and sometimes, those changes can make it difficult to consistently earn. Jason despises using Swagbucks to search and earn, and honestly, with both of us working full-time, it can be difficult to devote anything more than five minutes a day to Swagbucks. Each day, there are anywhere from one to three easy points that can be earned. You just click on the links provided under Earn and Explore. Just by clicking on the link, which takes you to another webpage that is safe, you'll earn a point. On Swagbucks, you're rewarded randomly for searching, which can get discouraging if you have a search goal for the day (our goal in our house is one search win per user). On Bing, you're rewarded no matter what. You can search anything you want, and if you use their search engine for a total of 30 times, you'll get 15 points. Sometimes, Bing will have Double Credit days where you can search 60 times for 30 credits. 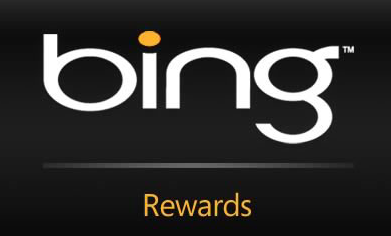 You can redeem your Bing points for Swagbucks! I love that. If you're at the Silver or Member level, you can redeem 525 Bing points for 500 Swagbucks. That's not necessarily a fantastic deal, but get this: once you reach Gold status, you can redeem 475 Bing points for 500 Swagbucks! How awesome is that. Honestly, we like Bing more than Swagbucks, but there are limited earning opportunities through Bing. There are Swagbucks members who report earning more than $200 per month. The average, so I'm told, is about $100 in gift cards per month. Before Bug was born, Jason and I each easily earned $25 in gift cards per month. Jason earns about $10 per month ($5 from Bing), and I earn about $20 ($5 from Bing). That's not anywhere close to the average, but we'll take an extra $30 a month any day. If you are so inclined, I'd love for you to use my referral link (just click here) to sign up for Bing, but if you are a Swagbucks member, you should check out their special offers first. We both signed up for Bing through a Swagbucks special offer and earned 100 Swagbucks just for signing up. There might be the extra incentive you need to check it out. If you don't like it, you don't have to use Bing, but it's worth a try.